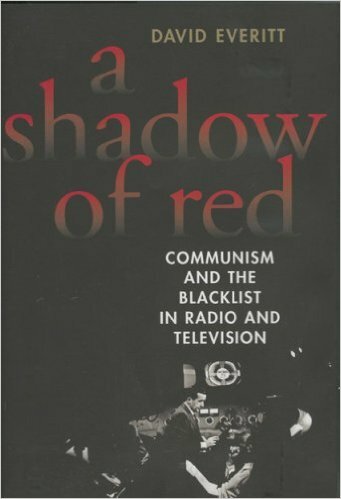 Unlike many works on this topic, which run on the assumption that there were in fact no communists in the broadcast industry, Shadow of Red is an objective look at the actual involvement of the CPUSA in radio and television, as well as those employees who were involved in front organizations cobbled together by communists. Everitt puts the so-called "witch-hunt" in context, discussing the outbreak of the Korean War as a factor in America's attitudes towards communists who openly and vocally supported the same people killing Americans in Asia. Another issue, also not always addressed, was the disillusionment with communism many leftists had after the flip-flops of the 1930s and 1940s towards fascism and African-Americans. Acceptance of the party line meant believing that Finland in 1940 was an actual threat to the USSR and not a victim of aggression. Acceptance of the party line meant hating refugees from the Baltics because they were escaped enemies of the Soviet Union. Acceptance of the party line meant believing Americans were using biological warfare in Korea. People who could be duped into these beliefs were in a position to effect broadcasting at home. But this book is hardly a homage to the anticommunists of the day. As Everitt points out, the lists produced in Red Channels were based on good information but using an inconsistent yardstick. One person might be on the list simply because they worked on a pro-Soviet movie during WWII, while others with more solid leftist credentials might be missed because they were not radio or TV personalities. And in some cases there were mitigating circumstances or even errors... but no real process to sort out those wrongly accused or to even prevent innocent people from being accused. The author also points out that the so-called blacklisting was not a government phenomena (although HUAC sometimes did play a role) but rather an attempt by the industry to self-regulate. Most broadcasters just wanted to provide non-controversial entertainment and had no use for anyone wanting to use their microphone as a red pulpit or to justify their politics via their celebrity status. In the blacklist they found a way to avoid these problems, which were bad for business. One of the best books I have read on the so-called Red Scare. Definitely better than the political pity party pieces which normally cloud the issues.